The suburban restaurant opened in September 2010 at 18584 Mack Ave.
Update, 5:10 p.m. Tuesday: Three women will return to a Grosse Pointe Farms restaurant they say treated them unfairly last weekend. TaNisha Prater of Detroit, Kim Lloyd Hudson of Grosse Pointe Park and Adrienne Savage of Farmington invite people to picket with them from 5-7 p.m. Wednesday outside Blufin Sushi, 18584 Mack Ave. for a sidewalk protest. "Join us and bring a few friends," says an invitation sent to more than 900 Facebook acquaintances. We are demanding answers from Grosse Pointe Farms Public Safety and Blufin. We are demanding fair and equitable treatment of all patrons! . . . We love our city and we resolve to fight until this issue is resolved. 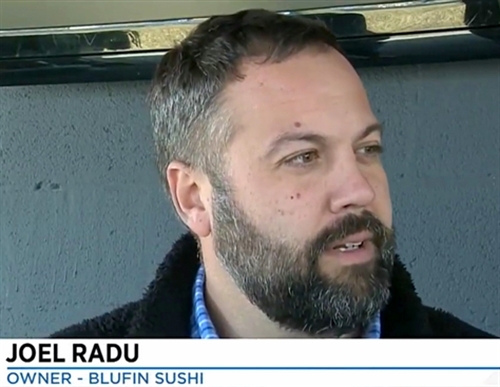 Update, 8:30 p.m. Monday: Blufin Sushi restaurant owner Joel Radu responds to a social media backlash by saying he wants to meet the women who felt racially targeted at the restaurant. Photo from WDIV newscast Monday. "That's never what I ever want to see happen again. I would like the opportunity to talk to them and hear their experience and learn from it and see how we can make the changes to make sure that doesn't happen again." What year is this again? We wonder because this restaurant bias claim, which a witness confirms and which hasn't been refuted, is a throwback to an era that should be history. TaNisha Prater recorded a 15-minute Facebook Live video ... at Blufin Sushi, beginning with her and her party of three leaving the restaurant and ending with speaking to a police officer about the incident. In the video, Prater says she and [two] friends were seated at the bar when a general manager asked them to leave, even though they had not finished drinking. Prater says she and her friends were the only black customers in the bar. . . . The second half of the video shows a Grosse Pointe Farms officer talking with the women and asking for their version of events. . . . The officer is heard saying that the restaurant mistakenly asked the women to leave because staff members thought they were done. Prater and her husband, R. Christopher Prater, own Thrift on the Ave, a women's vintage fashion shop on Cass Avenue in Midtown Detroit. 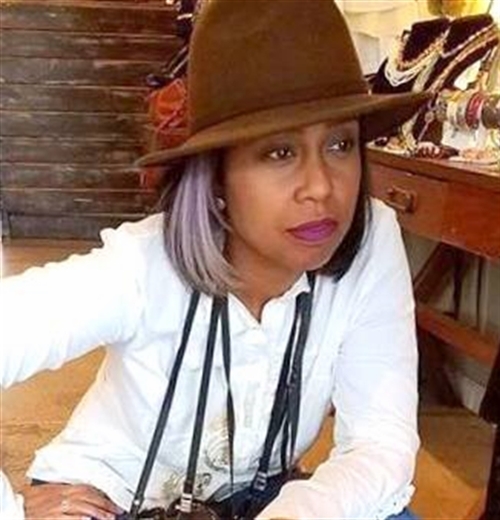 She was at the suburban restaurant, located at 18584 Mack Ave., with Kimberly Hudson of Grosse Pointe Park and Adrienne Savage of Farmington. In its coverage, The Detroit News says general manager Katherine Fiscelli didn't respond to an email Monday morning and the restaurant's phone line was continually busy. The restaurant’s Facebook page, down to 1.3 stars, was bombarded by posts from the community expressing their dismay. 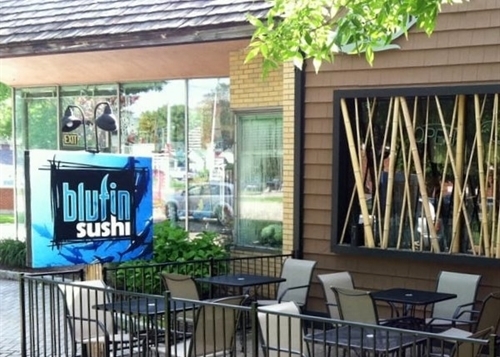 One customer, Betty Palfrey, said she was dining at Blufin around 7:45 p.m. Saturday when she and her colleagues witnessed the three women being asked to give up their seats. The restaurant in a customer's snapshot at Yelp. Foley speaks Sunday night with Daniel Carlisle of Grosse Pointe woods, who was general manager at Blufin for two months last fall. He says owner Joel Radu "frequently used racial slurs and discriminated against black patrons," the editor writes in a follow-up. 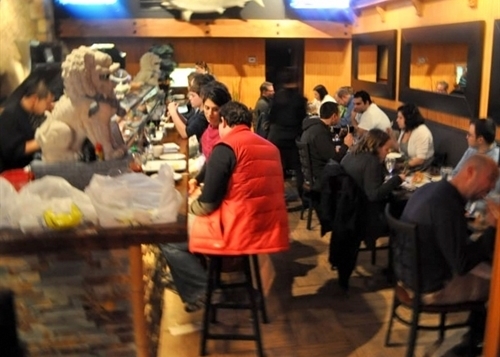 Facebook and Yelp ratings are plummeting for Blufin Sushi. . . . The Facebook Live video of the incident’s aftermath set off a social media firestorm calling for a boycott of the restaurant and prompting BluFin to temporarily close its doors on Sunday and delete its Facebook page.